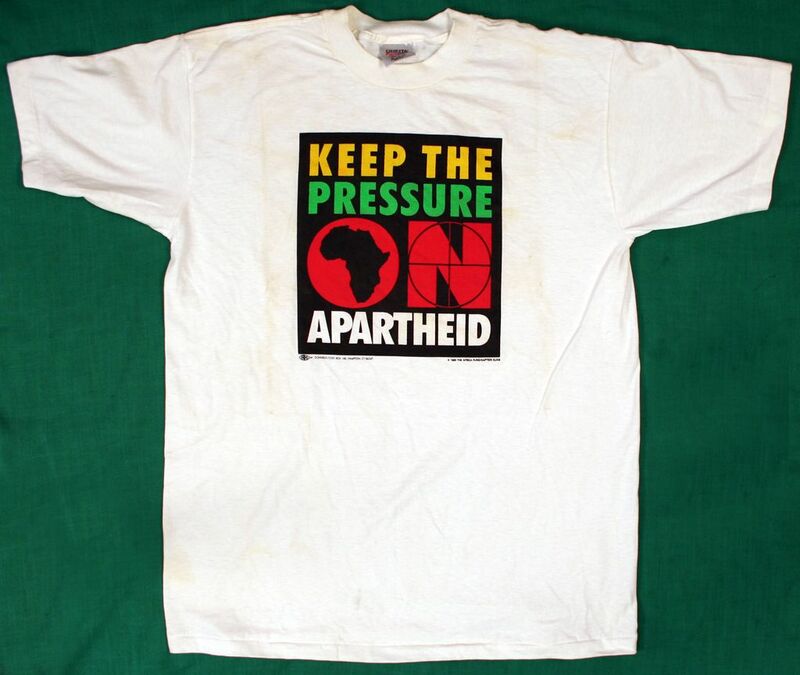 This T-shirt was produced after the release of Nelson Mandela shortly before his first visit to the United States in June 1990. The slogan was used nationally during and after his visit. 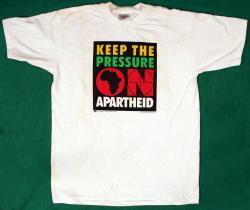 The T-shirt was manufactured by Donnelly/Colt, Box 188, Hampton, CT 06247. 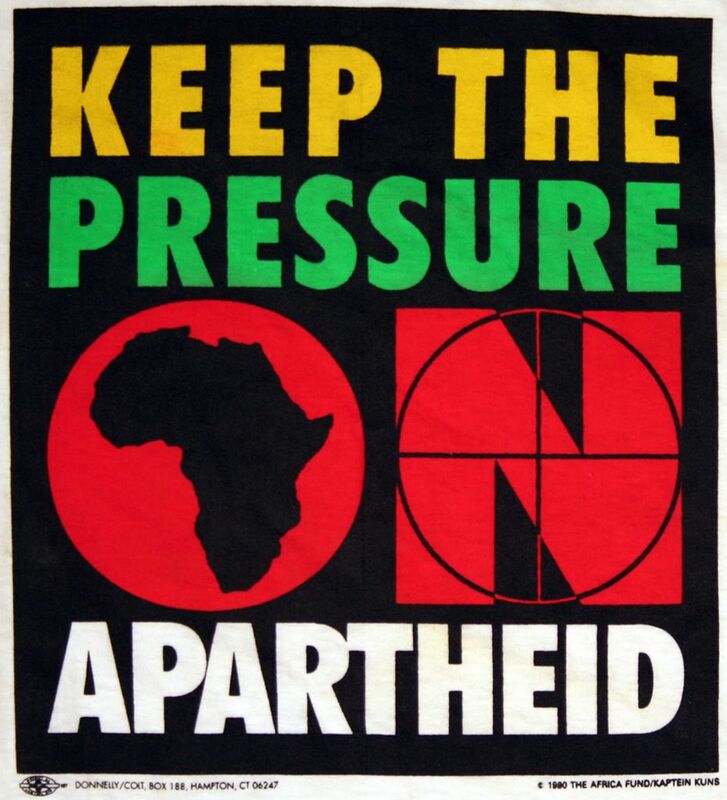 At the time this T-shirt was produced the designer, Clive Helfet, used the nom de guerre of Kaptein Kuns. 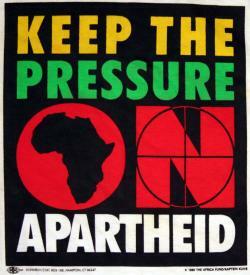 Used by permission of Africa Action (successor to The Africa Fund).